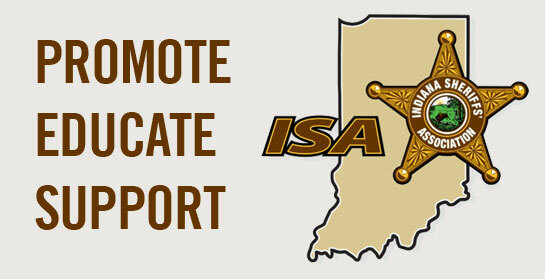 The Indiana Sheriffs’ Association is a non-profit educational and service organization comprised of the 92 county sheriffs, their deputies and other law abiding citizens throughout the state. The association was formed for the purpose of providing assistance to sheriffs, their deputies and other department personnel, thereby enabling them to improve the delivery of law enforcement services to the citizens of this state. The association advocates and supports the need for better and continued training of all law enforcement officers. The association continually sponsors and provides both training and educational programs for sheriffs and deputies throughout the state. One of the Indiana Sheriffs’ Association’s educational programs is an annual summer youth leadership camp provided for boys and girls who have completed the eighth grade of school. This program utilizes sheriffs and deputies as counselors and instructors to provide a better understanding of duties of a law enforcement officer. The association endeavors to improve the education and professionalism of law enforcement service by awarding several college scholarships annually to qualified students who desire to attain a degree in the field of criminal justice. The scholarship program is administered by a committee made up of sheriffs, deputy sheriffs and college administrators within the state. The scholarship recipients are selected from four geographic areas of the state. Contributions to the scholarship fund enable it to accumulate sufficient assets to continue the program. Membership credentials consist of a membership card, two I.S.A. star decals, and a year’s subscription to our newsletter, THE INDIANA SHERIFF. Family membership credentials consist of a membership card per member, three I.S.A. star decals per family, and a year’s subscription to our newsletter, THE INDIANA SHERIFF, per family. Limited to unmarried dependent children over 14 days and under 19 years and only available with a Family Membership. Type each child’s name in the box and click “Add to Cart”. To order a license tag(s), click “Add to Cart” and enter the number of tags you would like to purchase. Dues and contributions to the Indiana Sheriffs’ Association are tax deductible under 501(c)3 of the I.R.S. Code.